If you haven’t stopped by MODpaper lately, it’s worth a second look! Our custom printing and invitation company recently debuted a totally revamped style! Lead Designer, Ashley Horsley, developed the posh, regal logo and added a vintage twist to the site with custom-crafted wallpaper. 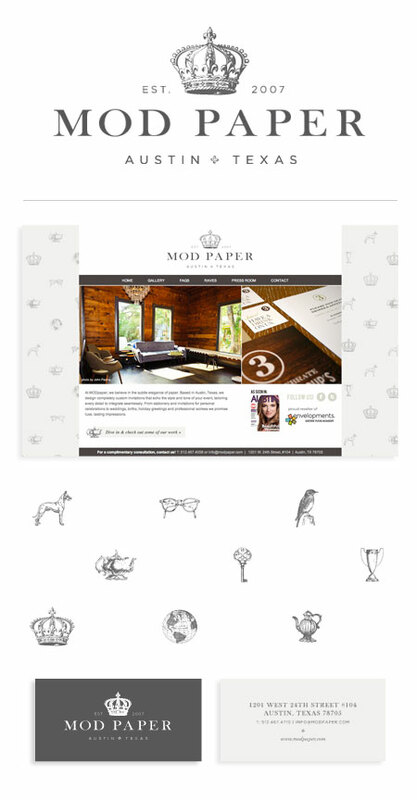 Stop by the site and let us know what you think… and remember MODpaper for your next event!